Whether you fall in love with Grand Bahama at first sight, or quietly grow to love it after a few vacation dates, there is a certain magnetic quality about this island that keeps people coming back again and again. 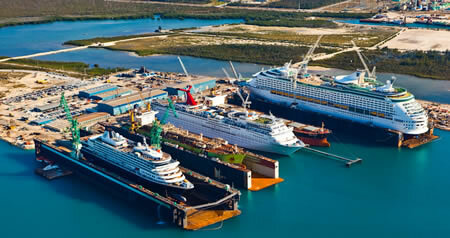 A big part of the attraction is that Grand Bahama represents the best of both worlds. It has all the basic ingredients of a tropical paradise: year-round sun, 25 miles of sandy white beaches, swaying palms, championship golf courses, and some of the prettiest crystal clear aqua waters in the world. The island is also ideally located just off Florida's fast paced fun-coast, only about 70 miles from Miami, Ft. Lauderdale and West Palm Beach. Finding everything you want in a relaxed, charming, get-away-from-it-all island, so close to the United States, is a combination that's hard to beat. And a combination that has lots of well-traveled people from all over the world choosing Grand Bahama Island as their primary residence or second home. Grand Bahama stands out from the other Bahama Islands, it is greener and cleaner, less crowded and less spoilt. Unlike Nassau, the less populated outskirts of Grand Bahama supply a more serene and tranquil environment of deserted beaches that offer sanctuary for those who desire private hideaway spots reminiscent of the Family Islands. However, similar to the other Bahama islands, it offers miles of pearly white beaches, and luxurious hotels so get away from the hussle and bustle of the other crowded Bahamas Islands and head to Grand Bahama. It is truly unique. The Bahamas and especially Freeport, Grand Bahama, are in the early stages of a resurgence brought about by the pro-investment new government that has cut red tape for foreign investment and residency with no strings attached. Foreigners may buy homes and land with the same rights as Bahamians. There are no property or income taxes in Freeport. The fact that Grand Bahama is currently receiving significant levels of inward investment, and coupled with the fact that there are no taxes on real estate on Grand Bahama, makes property or land on the island an increasingly viable investment opportunity. Foreign investors are slowly waking up to the fact that there are huge number of pristine ocean and canal front properties availble in and around Freeport. Grand Bahama is the fourth largest of The Islands of The Bahamas. It gets its name from the Spanish "gran bajamar" – meaning "great shallows" – for the many flats and shoals in the waters off the island. These flats and shoals stretch for miles off-shore, the emerald ocean rarely deeper than six or eight feet until the ocean falls to fantastic depths off the Grand Bahama Bank , an ocean playground that rivals even Australia’s Great Barrier Reef. Grand Bahama Island lies just 55 miles off the coast of Florida. From east to west it measures some 96 miles, rimmed with cities, villages, and cays that offer lasting evidence of the many different people and cultures that have called the island home. For almost 300 years of its early in its history, Grand Bahama was virtually uninhabited. Then, with the development of Freeport/Lucaya in the 1950s, and because of the island’s close proximity to Florida’s east coast, it is now one of the most visited of all the Bahamian islands. Grand Bahama Island is a unique destination. It allows visitors to combine a cosmopolitan vacation at a world-class resort with the charm of historical fishing villages and undiscovered ecological treasures. It has one of the world's largest underwater cave systems, three national parks, endless beaches, emerald green water and enchanting marine life. Freeport is home to the International airport, in addition to modern grocery stores, hospitals/clinics and all the services one would hope to find. "The poorest person in the world is the person without a dream." As a member of the Commonwealth of Nations, The Bahamas recognizes Her Majesty Queen Elizabeth II as Head of State. The Governor-General is Her Majesty’s representative in The Bahamas. The Cabinet constitutes the executive branch and has general direction and control of the Government of The Bahamas. It is necessary for the Cabinet to comprise at least nine ministers, including the Prime Minister and Attorney General. The Governor-General of The Bahamas is His Excellency Arthur Foulkes, and the Prime Minister of The Bahamas is the Rt. Hon. Hubert Alexander Ingraham. The Bahamas is a stable, developing nation driven primarily by the tourism, financial services, and fishing industries, respectively. Independence from the United Kingdom was received on July 10, 1973. No Taxes- That's right, there are no Income Taxes, Sales Taxes, Inheritance Taxes, or Capital Gains Taxes in the Bahamas. Unlike other parts of the Bahamas (including Nassau), there is no Property Tax in Freeport based on The Hawksbill Creek agreement. Update: In January 2015 a 7.5% VAT tax was implemented throughout the Bahamas. A homeowner can obtain an Annual Homeowners Residence Card from the Director of Immigration that allows the permit holder, spouse, and minor children to enter and remain in The Bahamas for the period of the permit. Easy access to Grand Bahama Island is a key reason for this tropical playground’s appeal as a great place to live or retire. Just a short hop by jet, a pleasant day by cruise ship, or a memorable voyage by private or charter boat, Grand Bahama Island can be reached quickly by air or by sea. The Grand Bahama International Airport offers US pre-clearance facilities, Bahamian Customs and Immigration clearance - attended 24 hours a day, 7 days a week. Daily scheduled and charter air carriers serving Grand Bahama Island include: Delta, Spirit, American Eagle US Airways, Bahamasair, Continental, Western Air, and others. Grand Bahama has an international airport with an 11,000 foot runway capable of landing the biggest airplanes in the world. 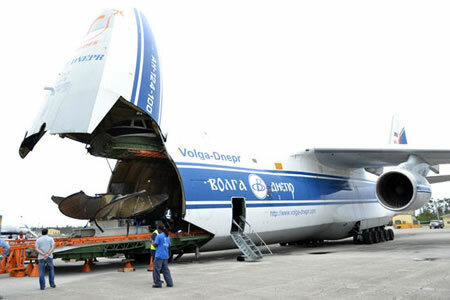 In fact, in 2012 the Grand Bahama International Airport played host to one of the largest cargo planes in the world, the Antonov 124-100, which arrived to pick up 2 ship propellers being stored in Grand Bahama and then delivered them to Italy. The runway was also capable of being landed on by the Nasa Space Shuttle. The wide paved boulevards, manicured roadways, miles of well-planned waterways that are part of Freeport/Lucaya's modern infrastructure, got its start back in the mid 1950s when an American entrepreneur named Wallace Groves laid the strong foundation for today's residential and business boom. Wallace's original vision of a professionally designed and planned community, complete with clean water, state-of-the-art power and utilities, cutting-edge technology and communications, all carefully nestled within the abundant natural beauty of Grand Bahama, is alive and well today, clearly visible in an island infrastructure that is second to none in the region. Freeport/Lucaya is unique in the entire Caribbean. In Grand Bahama, the enjoyment of relaxed island living is reliably supported by a clean, well-planned, up-to-date infrastructure that lets you truly relax, knowing the basics are already taken care of. It is also remarkable in this day and age to find an unspoiled place with little pollution and no traffic congestion, only a 30 minute plane ride from South Florida. 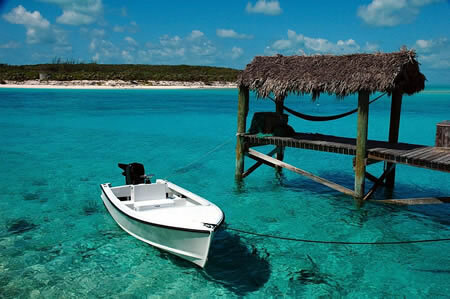 Grand Bahama Island is the second most popular tourist destination in the Bahamas. Here you will find long stretches of deserted clean-white beaches, inviting hotels, one major casino, night-time entertainment and world-class scuba diving facilities and land and sea sports. Freeport is the resort center of the Island where much action can be found. On the eastern and western ends of the Island are serene and quaint settings and finding hide-away spots is not uncommon. Shopping is also a feature as one can stroll through Port Lucaya and discover duty-free treasures from around the world. Grand Bahama offers an unparalleled lifestyle, and the chance to get in on the ground floor of some tremendous growth. The island is just beginning to be discovered—it often reminds people of the opportunities they saw 40 years ago in Florida. Grand Bahama Island has attracted worldwide attention over the last few years due to the investments of Hong Kong based Hutchison Whampoa. Their port division, Hutchison Port Holdings, the global leader in port development and operation, has built one of the largest transshipment container ports in the world at Freeport Harbour in a joint venture with The Grand Bahama Development Company. Together, they have developed a Sea/Air Business Centre that is uniquely situated on 786 acres in a tax-tree trade zone. The Sea/Air Business Centre provides millions of square feet of warehouse and office space, linking the Freeport Container Port with Grand Bahama International Airport, allowing companies to take advantage of a container port that can handle the largest ships in the world and an airport that can handle the largest planes in the world, all in a tax-free, duty-free environment. The Sea/Air Business Centre already has generated tremendous interest by worldwide corporations interested in doing business in Freeport. Grand Bahama has also found itself in the world spotlight with the development of The Bahamas Film Studios, a multi-million dollar state-of-the-art film production complex built on the island's east end. The complex has been well received and is already being used by major film studios from around the world. In fact, Disney Production Studios found it be to an idyllic location to use for filming its box office hits Pirates of the Caribbean 2 & 3. Temperatures seldom drop below 16c (60f) at any time of day or night. 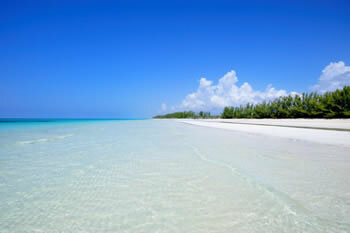 Grand Bahama Island offers many stunning and secluded beaches. Many of the islands beaches feature some of the whitest and finest (softest) sand in the world and serve as a backdrop to incredible turquoise colored waters. Low tide is the best time to see the beauty of the beaches and Gold Rock Beach (Lucayan National Park) is often ranked as one of the word's most beautiful and secluded beaches. The Grand Bahama Port Authority has invested significant resources to put in place city services and infrastructure to support a population of up to 250,000 people. From homes and infrastructure to schools and amenities, Freeport offers the standard of living expected of a thriving and growing community and commercial centre. The National Postal service offers air and surface mail services for inter-island and to all foreign countries. There is one central delivery service from which boxes are rented at inexpensive rates. There are also a number of worldwide courier services available. The Bahamas Telecommunications Company Ltd (BTC) has been the regulator and provider of telecommunication services in the Bahamas for 100 years. Today the Company offers modern, fully digital switching networks providing high-speed communications services to residential and business consumers throughout The Bahamas. These services are transmitted via fiber optics, copper, coaxial, satellite and wireless media. Cable Bahamas Ltd is a major telecommunications provider in the city of Freeport. The company supplies more than 100 cable television channels, digital music services and its CoralWave broadband Internet access to thousands of residences and businesses on Grand Bahama Island. With options ranging from 20Mb/s to over 1Gb/s the company delivers commercial Internet service to every major hotel, international and national banks, legal and accounting offices, retail companies and several government agencies. The Bahamas Broadcasting Corporation, a public corporation, provides radio and television services throughout the Bahamas. The main station, Radio Bahamas (ZNS-1), has been operating since May 1936 and has a frequency of 1540 kHz. It operates 24 hours a day and serves the entire country. Private radio has been approved by government, 100 JAMZ and COOL96 are two local private radio stations broadcasting from Grand Bahama. Other National Fm Radio Stations are MORE FM and LOVE 97. 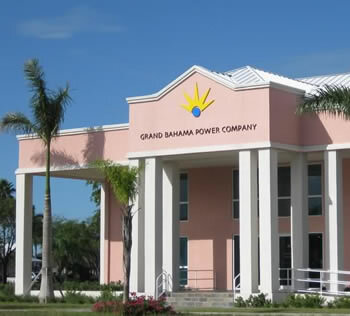 The Grand Bahama Power Company is an integrated utility that generates, transmits, distributes, and sells electricity on the island. The Company supplies electric power to Grand Bahama Island's approximately 18,000 residential, commercial, and industrial customers. Grand Bahama Power's transmission and distribution assets include over 800 miles of lines. 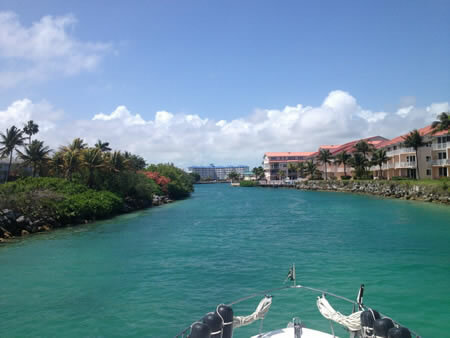 Grand Bahamas' abundant fresh water is a natural resource unmatched in the Caribbean area. The Grand Bahama Utility Company, Ltd. pumps 7 million gallons daily of fresh, pure water, via state-of-the-art pipe networks. The system is adequate for a modern city of 250,000, almost the entire population of The Bahamas. Rainfall averages 58 inches per year, replenishing the natural ground aquifer, a vast lens of fresh water located under the island. In recent years, health standards have greatly improved throughout the Bahamas. Particularly in Nassau and Grand Bahama, new hospitals and healthcare facilities have opened and are providing high quality care. Increased investments in the local health sector as well as the employment of qualified physicians, nurses, and dentists have improved the overall health of people living in the Bahamas. The vaccination and immunization against diseases such as measles and diphtheria has lowered the infection and death rate among children. In order to increase the health standards and life expectancy of the Bahamian population, the government has implemented different measures and initiatives. Healthy Lifestyle Initiatives, for instance, are meant to reduce illness, disability, and death which are caused by unhealthy lifestyles. This initiative mostly targets chronic non-communicable diseases such as hypertension, diabetes, heart diseases, and cancer. Another initiative is the promotion of the immunization of adults living in the Bahamas. The goal is to reduce vaccine-preventable diseases throughout the country. You can turn to the Ministry of Health to receive vaccinations against hepatitis B, yellow fever, diphtheria/ tetanus (DT), and influenza, as well measles, mumps, and rubella. Anybody visiting or living in the Bahamas enjoys equal access to medical care in the Bahamas. Both the public and the private medical sector offer a large variety of facilities and services. 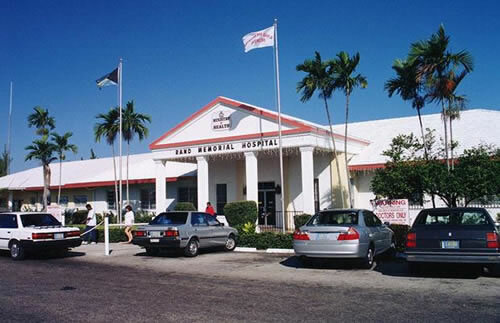 There are three public hospitals in the Bahamas, two of which are located in New Providence. Aside from the Princess Margaret Hospital and the Sandilands Rehabilitation Center, patients can turn to the Rand Memorial Hospital in Freeport, Grand Bahama, for medical care. Of course, you may also turn to private hospitals and healthcare centers for treatment. The Bahamas do not have a national health insurance scheme expats can contribute to. Although the National Insurance Board offers some medical benefits for job-related illnesses and injuries, you should make sure to get a private health insurance which covers all of your basic needs throughout your stay. Perfumes and fragrances, crystal, leather goods, jewelry, fine linens and tablecloths, watches and clocks, photographic equipment, china, binoculars, and telescopes are all duty free. Savings on these items are between 25% - 50% below US prices. 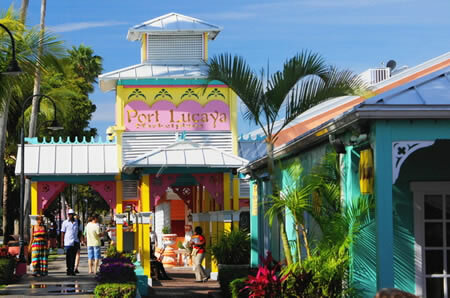 The best shopping is at the Port Lucaya Marketplace; boutiques and gift shops are also found in the downtown area and at most major resorts. Everything from duty-free products to local arts and crafts, wood, straw, shell and clothing creations are readily available. A wide variety of produce and grocery items can be found at local Food Stores throughout the island. There are a number of American-style supermarkets on the island. US and Bahamian dollars are accepted interchangeably throughout the islands with the Bahamian dollar pegged to the US dollar at 1:1. British rules apply, so please drive on the left. Visitors may use their home licenses for up to three months and may also apply for an international driver's license. The official language of The Bahamas is English, more British than American, and generally intertwined with a special Bahamian dialect. The legal system of the Bahamas is based on British Common Law which is the same basis used for most of the legal system of the United States. There are numerous dining options in Grand Bahama ranging from simple, local restaurants to upscale, fine dining restaurants. 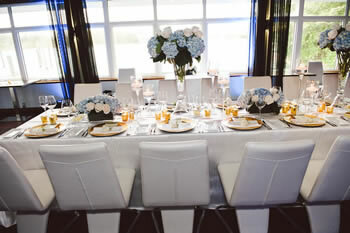 You will find strong culinary influences from the Bahamas, China, Greece, and the United States. Naturally, the sea provides many of your choices, and offers a bounty that is uniquely Bahamian. Heading the aquatic lineup are the big three - grouper, lobster and conch. The permutations and combinations with which they can be prepared and served are truly mind-boggling, as well as mouth-watering. Landlubbers, of course, will find their share of chicken, beef, lamb, pork, pasta and vegetarian dishes from all over the world. Many restaurants offer a unique blend of Caribbean or Continental ambience, and the quality of the food is second to none.